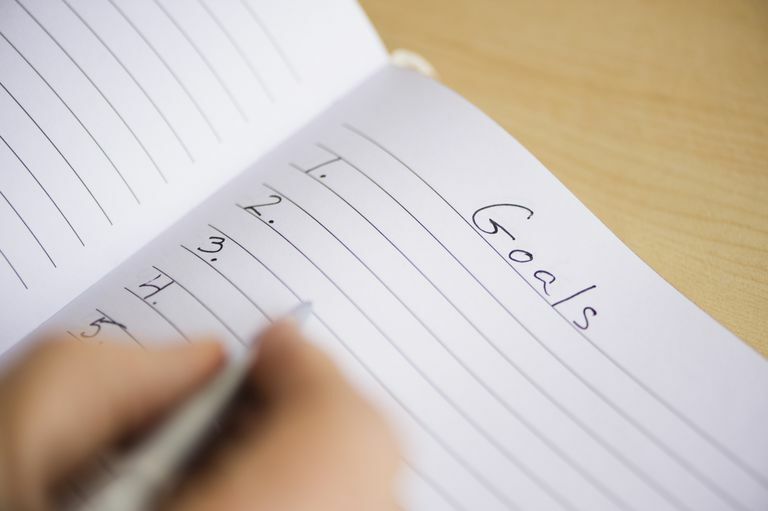 While most people make resolutions that they’re determined to keep, a better tactic would be to create goals. "What’s the difference?" you may ask. With traditional resolutions, people generally approach change with the attitude, “From now on, I will no longer [name a given behavior you’d like to change]” The problem with this is, after one or two slip-ups, people feel like failures and tend to drop the whole effort, falling easily back into familiar patterns. Remember That It’s a Process: Expect to work your way up, rather than maintaining perfection and feeling let-down if you don’t achieve it immediately. Work Your Way Up: In setting goals for new behavior, aim for once or twice a week, rather than every day. For example, instead of saying, “I’ll go to the gym every day,” plan for “every Wednesday” or, better yet, sign up for a fun exercise class, and you can work your way up to more often. Set Yourself Up to Succeed: Set small, attainable goals, and add more steps as you complete each one. This way, you gradually work your way toward the life you want and the necessary changes, but you experience much more ‘success’ along the way, rather than feeling like a failure if you don’t experience ultimate change overnight. You can focus more, as you won’t be trying to make several sweeping changes at once. You can re-commit yourself each month to a new idea, so you keep growing all year and self-improvement becomes a way of life. You can build on each success, so you can first free up time before you take on a new hobby or get involved in an important cause, for example. Also, habits generally take 21 days to form. This setup enables you to devote energy to forming new habits more easily before moving on to the next, so you’re not relying solely on will-power. While many of your resolutions carry their own reward, changing your habits can be challenging, and it’s sometimes easier to do so if you have a little extra help. Remember how positive reinforcement from a supportive teacher helped you learn, even though the knowledge itself was its own reward? Team Up: Have a buddy who knows your goals, and encourage each other, even if you’re working on separate goals. This will provide you with someone who can give you a high-five when you deserve one, and a little encouragement when you need it. Reward Small Successes: Divide your goal into bite-sized steps and have a reward waiting at the completion of each. Align Rewards With Goals: Have rewards that are in line with your achievements (like new workout clothes for every 5 gym visits, or a beautiful new pen if you stick with your journaling habit for two weeks). As for the goals you set, it's important that you choose your goals wisely, or it will be hard to make them stick. You also want to pick goals that will really help improve your life, so the effort will have a nice payoff.